How to Assess Writing, Invigorate Instruction, and Rethink Revision! Any successful writer will tell you that the key to writing well is revision. Any elementary school teacher will tell you that the real challenge of writing instruction is teaching kids how to revise. Ruth Culham is both a successful writer and a writing teacher, and she’s discovered how to teach writing and revision in a way that’s accessible to both teacher and students: First read the writing, assess it using the traits of writing, then teach the writers and guide revision decisions using traits as a common language and map. This book shows you how to assess and teach writing in a way that’s practical and doable—and best of all, see results. Part 1 walks you through the traits of writing and their key qualities, showing step by step how to read students’ writing and offer feedback that nudges them forward through the revision process. Chapters will help you address challenges students face within each mode of writing (narrative, expository, persuasive), and provide tools young writers can use to evaluate their own writing and make revision decisions accordingly. Part 2 dives into instruction, offering specific guidance for how to use what you’ve learned from reading student writing to design lessons that scaffold students toward making their own craft decisions and revisions. In addition, there’s an entire chapter devoted to mentor texts that you can use to model traits and key qualities for your students. Traits-based revision lies at the heart of this book, as it’s been at the heart of Ruth’s career in writing instruction. Rethinking revision is what will ultimately help you to teach writing well. Ruth’s deep respect for our writers shines through and her sage advice for celebrating those writers in intentionally responsive ways makes us privy to the powerful professional discoveries that will gently nudge us all to teaching writing well. "The pressures on teachers, the joy of watching kids learn and grow, all of that is woven into this text. I feel like this book is an important book." Ruth Culham, EdD, has written more than forty professional resources illuminating both writing and the reading-writing connection. Her recent book, The Writing Thief, has helped teachers find “right now” children’s books and everyday texts to use as mentor texts. Dream Wakers expands and complements this work by delving into books that focus on Latino culture and life as mentor texts for writing. Her newest, Teach Writing Well, enhances teachers' understanding of writing education by delving into a two-part approach: read the writing and teach the writer. 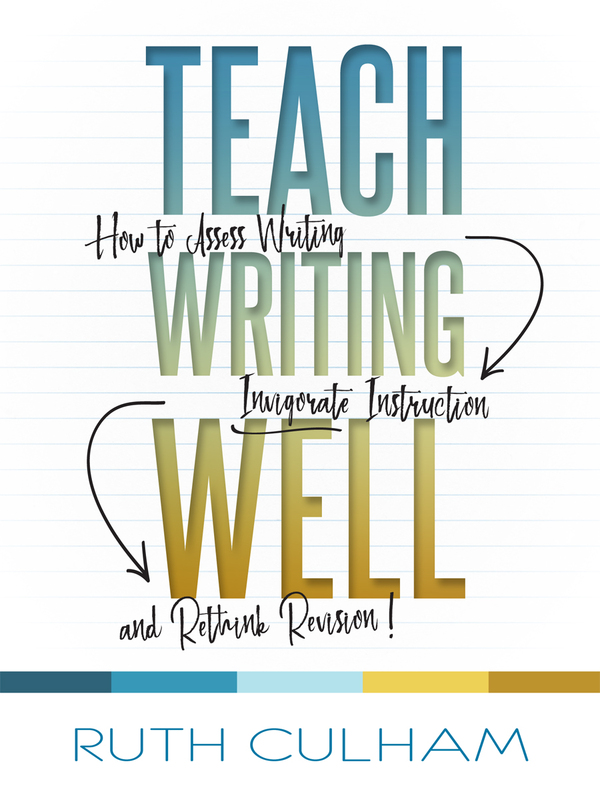 Teach Writing Well is a book that will help teachers find a way to talk about writing samples and assign a grade to writing pieces with confidence and knowledge. Teach Writing Well is a necessity for all instructors of writing. Ruth Culham has put together a brilliant resource that acknowledges the demands that accompanying the craft of teaching writing while at the same time fostering an appreciation for this expertise.